Is patriotism still relevant in sport? Let me ask you a question, is there still a place for national pride in professional sport? 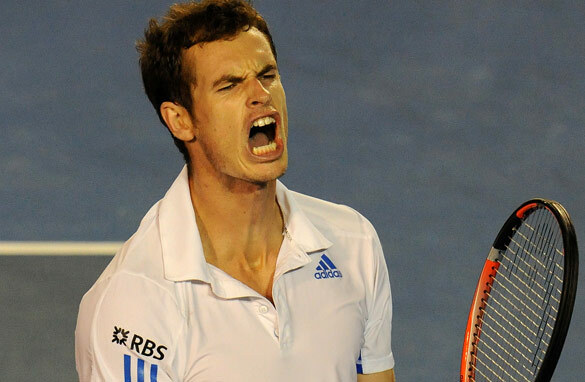 Is Andy Murray's success in the Australian Open really something for Great Britain to celebrate? Andy Murray’s Australian Open run has, once again, sparked a lot of interest in his homeland, with Brits salivating over the prospect of the nation getting its first male winner of a Grand Slam since Fred Perry in 1936. All well and good, Murray is a Scot, and after being starved of success by their countrymen for so long it’s understandable if the Brits relish having a real contender to fly the flag. The only thing is, while his passport says “British”, Murray’s talents are a product of Spain, as he moved there as a 15-year-old with the specific purpose of honing his game in a system with a far better pedigree than anything on offer in Britain. That is not a criticism of Andy. In fact it’s the opposite, as he was single-minded enough to make the sacrifice of leaving his home and family in order to realize his goals. But it does beg the question as to which nation, if any, should take credit for his achievements? Of course, Murray is not the only tennis player or indeed athlete who’s gone overseas to launch or further his or her career. In the United States, the colleges are full of foreign students who’ve gone to America to benefit from the superb training facilities and coaching expertise on offer in Track & Field, in which the country excels. Still, at subsequent Olympics, World and European Championships you’ll seldom hear those foreign athletes acknowledge their debt to the United States, because it’s all about national pride. But I just wonder whether all that flag-waving is really warranted, when your home country has done little or nothing to help you achieve your goals. Football is another sport where national pride is possibly misplaced. Naturally, after this year’s World Cup in South Africa, one nation will be crowing about being the best in the world. But will that be the case, as so many of the players on display at any major international football tournament do not ply, or in some cases, even learn their trade in the country of their birth. Don’t get me wrong, I’m not against patriotism per se. I just feel it’s something for sports fans to exhibit more than the athletes themselves, because in the 21st century there are no national boundaries or characteristics in the sporting world. It truly is a global village. I am an American currently living in Switzerland, and all I can say is Roger Federer is as loved by the Swiss more than their cheese............maybe not the chocolate, but close. When one decides to play for the national football team, he/she plays for his/hers country's honour. A strong relation and affection for the country should be given and is precondition. The other thing is – what could have been seen recently – that a country tries to employ player from Brazil or elsewhere. But these player have absolute no relation to the country. This is odd and forbidden and isn't increasing the pride of the nation. What I cannot understand is the support to football teams, where not one single player comes from the region or country this team plays in (league football). As for me patriotism & sport are inter- woven ,specifically most sporting activities have been defined for people to compete and those who emerge victorious are considered to be the winners. If we scrutinize fully the definition of patriotism we shall discover that anyone who has just a bit of it, will demonstrate, no matter where.Therefor even in sport. Look at the pictures from the World Cup in Germany – of course patriotism is vital to sporting events. "The month-long event was a vehicle to show the world a "new" Germany– as Germans flew their national flag with pride – for the first time since anyone could remember. On the pitch, the German national team gave them every to cheer, breaking their own World Cup record with 5 consecutive wins." If you would look at player's movement in international sports competition, you'll see plenty of people changing nationality in order to play at the highest level. There is a case recently in which a soccer player change from England to Scotland, purely on residential reason, in order to play for the national side. Here's the kicker, he played for Scottish junior side, England U-21, and now Scot senior side. Make sense? Beside the world stage, i think yes patriotism is ofcourse a National thing with the current miss-lead Globalisation, Players stilll have to be patritic enough to forster the current regeneration of afrikan sport in Afrika & world at large, if patritism is not a thing the most of Afrikan players would not play for their countries due to the turn of culture in the sports itself, big clubs would not allow their players to play for their countries, so the win of Anddy Murry is his medal but a pride for the English Tennis federation & putting the young ones in the same mode of being there. If Andy Murray went to Spain to hone his skills and was funded solely by his family, never having received anything from any organisation in the United Kingdom, then he is perfectly intitled to say that his efforts to win glory are for Scotland. The penny-pinching ways many sports.people have to find to help them to reach for the stars is shameful. If the United Kingdom wants the glory, then it should put the money where its mouth is. Let's help everybody in our country to feel truly united by the flag! !